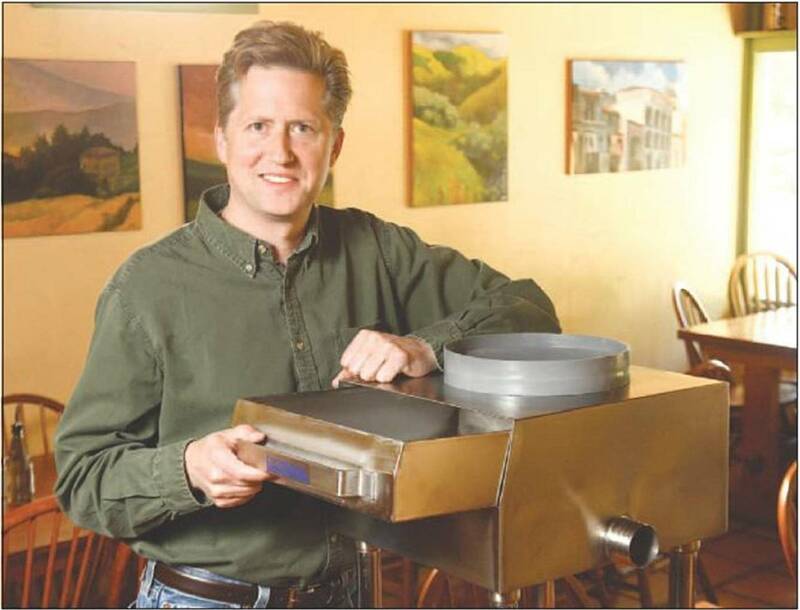 FOR IMMEDIATE RELEASE: Springfield, MO – October 2011 – The simple solution to Brian Ash’s continual restaurant drain problems was already in his commercial kitchen. He just hadn’t discovered it yet. But once the former software engineer turned small restaurant owner/City Council member figured out how to use an existing tried and true method in a different manner, he knew he needed to share his idea with other commercial kitchen owners. While draining pastas and washing dishes in the commercial kitchen sinks of his family’s Italian restaurant, invariably a few noodles would go down the drain. Over time, enough food solids would gather inside to clog up their grease trap. Getting it pumped out all the time was smelly, inconvenient and expensive. The most frustrating part was that it wasn’t grease that was constantly filling up their restaurant grease trap. It was food debris. Ash initially tried other grease trap accessories by adding chemicals and micro-organisms to his commercial grease trap to dissolve the food solids, but invariably, those grease trap products got overloaded from all the food debris and did nothing to break down man-made materials like straws or margarine cups that often went down the floor drain when washing dishes. Ash also tried using other kitchen sink strainers inside his commercial sinks to screen the food solids and prevent them from going down the floor drain. Unfortunately, these commercial sink strainers not only stopped the food debris, they also stopped the water in the sinks from draining and eventually his employees would get frustrated and bypass these type of sink drain systems so they could continue washing dishes. But finally, Ash discovered the ideal sink drain solution. Looking over at his commercial dish machine, Ash saw the catch tray strainer drawer where the water dumps out at the end of a wash cycle to prevent the food debris from clogging up the wall drain. Ash wanted a similar strainer drawer installed underneath his three compartment sinks before the water flowed into their grease trap and had his handyman build a prototype out of commercial dish washer strainer spare parts. After selling his restaurant and moving back to his hometown, he decided to do just that and The Drain Strainer™ was born. Upon further investigation, Ash realized his sink waste separator could not only provide solid protection for floor drains, wall drains and grease trap clogs, but it could also serve as a commercial garbage disposer alternative. This is especially important, because many municipalities have already banned commercial garbage disposals to prevent food debris from entering their sewer system. Add the fact that his garbage disposer strainer alternative costs less than replacing or even repairing most commercial garbage disposal leaks, it doesn’t require electricity and nothing can accidentally get mangled and it’s clearly a more affordable, safer commercial kitchen drainage system. The Drain Strainer™ is a sink solid separator for restaurants, hotels, cafeterias, hospitals, schools or any other type of commercial kitchen and is available in four models: the Drain Strainer Compact, the Drain Strainer Drain Plate, the Drain Strainer Crown Adapter and The Drain Strainer XL for high capacity commercial kitchens. These can all be ordered on their website at www.TheDrainStrainer.com. For Ash, starting his web based business wasn’t just about making more money. It was about sharing a solution he was grateful to finally discover because it saved him so many headaches over restaurant drain maintenance. He’s confident other commercial kitchen owners will appreciate never having to fix another garbage disposal jam, snake out a floor drain or unclog a grease trap once they realize his commercial sink strainer exists. Brian Ash is a former software engineer turned restaurant owner/City Council Member who now runs a web based business. www.TheDrainStrainer.com is a small, family owned drain solution company. Their staff knows the foodservice business and is there to serve their fellow commercial kitchen owners and operators. Your Restaurant Garbage Disposal Alternative is The Drain Strainer. Website Design By Calibrate Digital Marketing.